Another book on Alekhine's games? What's the need for one? This one is different. FM Steve Giddins looks at his favorite Alekhine games and challenges the reader to answer questions designed to keep you involved and allow you to monitor your progress. Giddins points out that while studying the classics may not be fashionable with modern day GMs, doing so is both enjoyable and instructional for us ordinary players. Giddens analyzed 35 of Alekhine’s games and twenty positions. He uses mostly words and not a lot of concrete analysis in explaining Alekhine’s moves which makes it great for the lower-rated player. He relied on an old engine (Fritz 12) to check his lines, but because he is explaining plans and ideas in words for average players, a correction here or there that a stronger engine may have found is not a big issue as far as I am concerned. If I want a lot of analytical lines I will do the same as always...play over the games with my own engine. One reviewer didn't like the book because he thought that because Giddins is only an FM he is not capable of explaining Alekhine's games. That's just plain asinine. As an FM Giddins is 1) strong enough to understand what went on in the games, even if it's only AFTER the fact because he has seen the outcome and knows what Alekhine had in mind, 2) he has access to engines which point out tactical flaws, 3) he has access to tablebases for aid in researching endings and 4) he has access to the notes of many other, stronger players. If you went by this fellow's criteria a lot of great chess books would have to get thrown out and we'd be left with only a handful of books written by world class GMs. Giddins has used a minimum number of Alekhine's best known games, but of course there are some that just had to be included in this collection. 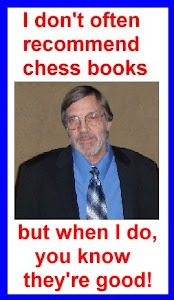 And, of those that are included, thanks to the use of a chess engine, he has been able to shed new light on them. He also did not include any games against Capablanca because Kasparov included some of them in My Great Predecessors. Also, there's no autobiographical material, but like his games, a lot has been written about Alekhine and apparently Giddens saw no reason to repeat it and drive up the price of the book.